The recital begins with Keats and ends with Shakespeare: that can’t be bad. But it also begins with Stanford and ends with Parry; what would the modernists of their time have thought about that? They would probably not have believed that those two pillars of the old musical establishment would still be standing by in 1999. And in fact how well very nearly all these composers stand! Quilter’s mild drawing–room manners might have been expected to doom him, but the three songs here – the affectionate, easy grace of his Tennyson setting, the restrained passion of his ‘Come away, death’ and the infectious zest of ‘I will go with my father a–ploughing’ – endear him afresh and demonstrate once again the wisdom of artists who recognise their own small area of ‘personal truth’ and refuse to betray it in exchange for a more fashionable ‘originality’. Likewise Finzi, whose feeling for Hardy’s poems is so modestly affirmed in ‘The dance continued’. Does that song, incidentally, make deliberate reference, at ‘those songs we sang when we went gipsying’, to Jillian of Berry by Warlock (whose originality speaks for itself)? 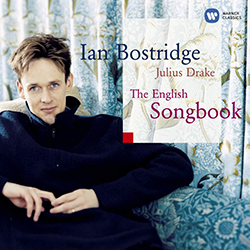 Jillian of Berry itself perhaps calls for more full–bodied, less refined tones than Bostridge’s. One could do with a ruddier glow and more rotund fruitiness in the voice. Yet for most of the programme he isn’t merely a well–suited singer but an artist who brings complete responsiveness to words and music. The haunted desolation of Delius’s Twilight Fancies is perfectly caught in the pale hue of the voice which can nevertheless give body and intensity to the frank cry of desire, calming then to pianissimo for the last phrase amid the dim echoes of hunting horns in the piano part. Julius Drake plays with strength of imagination and technical control to match Bostridge’s own.